Create, discover, and download new player-created maps, scenarios, interfaces, and more! Create, discover, and download new player-created maps, scenarios, interfaces, and more! "Aspyr Media is pleased to announce our first Linux and SteamOS title, Sid Meier’s Civilization V. The SteamOS release includes all Civilization V DLC and expansion content, including Gods & Kings and Brave New World. This release targets SteamOS on current gen hardware. Additionally, we're working towards supporting Ubuntu 14.04 as well as additional video cards in future updates. Here’s where we need your help! To improve Civ V and future AAA games on SteamOS, we're looking for feedback. Tell us below what's working great or what's not working. If you're having any problems, please contact our support directly at http://support.aspyr.com/tickets/new"
Aspyr has... Read All "Aspyr Media is pleased to announce our first Linux and SteamOS title, Sid Meier’s Civilization V. The SteamOS release includes all Civilization V DLC and expansion content, including Gods & Kings and Brave New World. Aspyr has ported a ton of games to Mac including BioShock Infinite, Borderlands 2, Civ V, Starwars Knights of the Old Republic & Call of Duty. Now they are getting into the SteamOS/Linux porting game, which is great news. Can't wait to see what they port next! I'm glad to see Aspyr jumping on the Linux train. From what I hear, this implementation isn't perfect but it's quite good. Aspyrs Mac Ports are really good. I played much of BioShock Infinite on the Mac. Hopefully they will fix some of the bugs so it's a pretty seamless port. One thing I noticed immediately was that that leader intro screens are animated on Linux. The is missing on OS X. Not a big deal to game play, but a nice environmental touch. Great. I wonder why they did that? Maybe a newer version of SDL supports something a bit better than the one they used on the OSX version? I also noticed that the title is a bit misleading. It wasn't JUST Civ 5, it was 4 and all the expansions too, at least it seemed to be the case when I opened up Steam on Linux. "The Humble Sid Meier Bundle features an enormous selection of quality strategy games by Sid Meier, legendary designer of the Civilization game series. Pay what you want for Sid Meier's Civilization III Complete, Sid Meier's Civilization IV: The Complete Edition, Sid Meier's Ace Patrol, Sid Meier's Ace Patrol: Pacific Skies and Sid Meier's Railroads!. Pay more than the average price and you'll also receive Sid Meier's Civilization V and Sid Meier's Civilization V: Gods and Kings DLC. 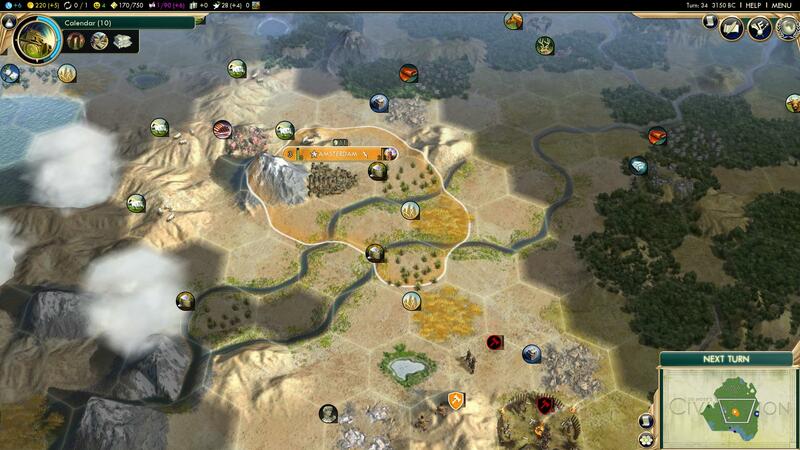 We'll also include Sid Meier's Civilization V: Brave New World DLC with all purchases of $15 or more." The Humble Sid Meier Bundle is one of those bundles that is pretty incredible. For... Read All "The Humble Sid Meier Bundle features an enormous selection of quality strategy games by Sid Meier, legendary designer of the Civilization game series. Pay what you want for Sid Meier's Civilization III Complete, Sid Meier's Civilization IV: The Complete Edition, Sid Meier's Ace Patrol, Sid Meier's Ace Patrol: Pacific Skies and Sid Meier's Railroads!. Pay more than the average price and you'll also receive Sid Meier's Civilization V and Sid Meier's Civilization V: Gods and Kings DLC. We'll also include Sid Meier's Civilization V: Brave New World DLC with all purchases of $15 or more." The Humble Sid Meier Bundle is one of those bundles that is pretty incredible. For $15 you get Sid Mieier's Civ III, IV, Ace Patrol, Pacific Skies, Railroads, Civ V + Expansion packs. Figuring in that Civ IV & V are playable on Mac this is a pretty incredible bundle. I have been looking to pickup a modern Civ game and this seems to be the best way. If they add XCOM later, I will probably get it, given I already have most of the Civ stuff.